With Mixmax, you can add default guests to all of your event invites or specific meeting templates. 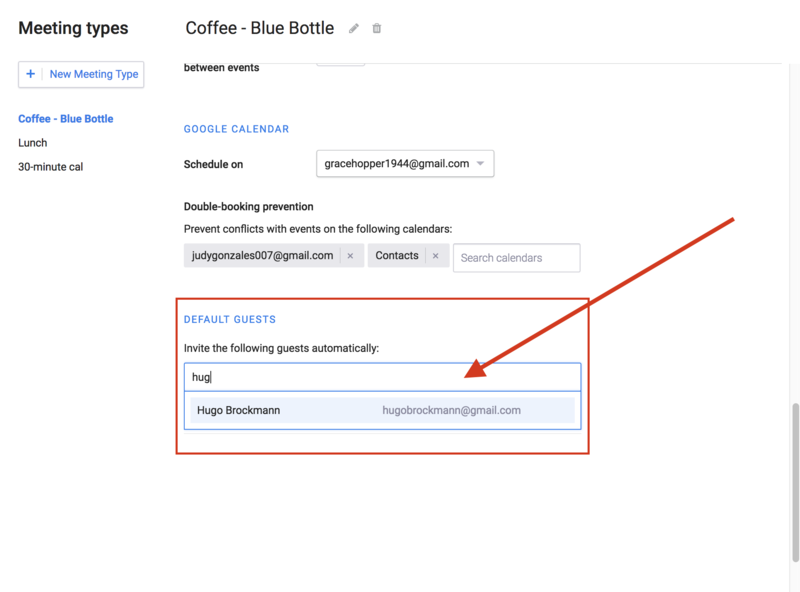 Adding a default guest will automatically make sure the guest is added to any your events when they are scheduled with Mixmax. Head to your Mixmax Calendar settings. Note: you can have multiple default guests in the calendar settings. When an event is confirmed, that person will receive an invite to the event which they'll be able to confirm. Whenever a meeting is confirmed from this meeting template, the default guest(s) will be added to the event. 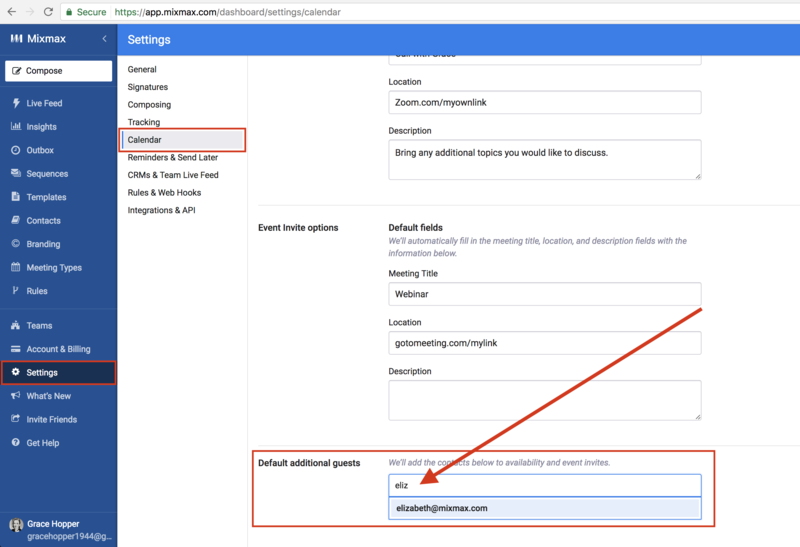 In your Meeting Templates, additional default guests will automatically be added to Double-booking prevention if you have read/write permissions for their calendar. Learn more about double-booking prevention in this article.